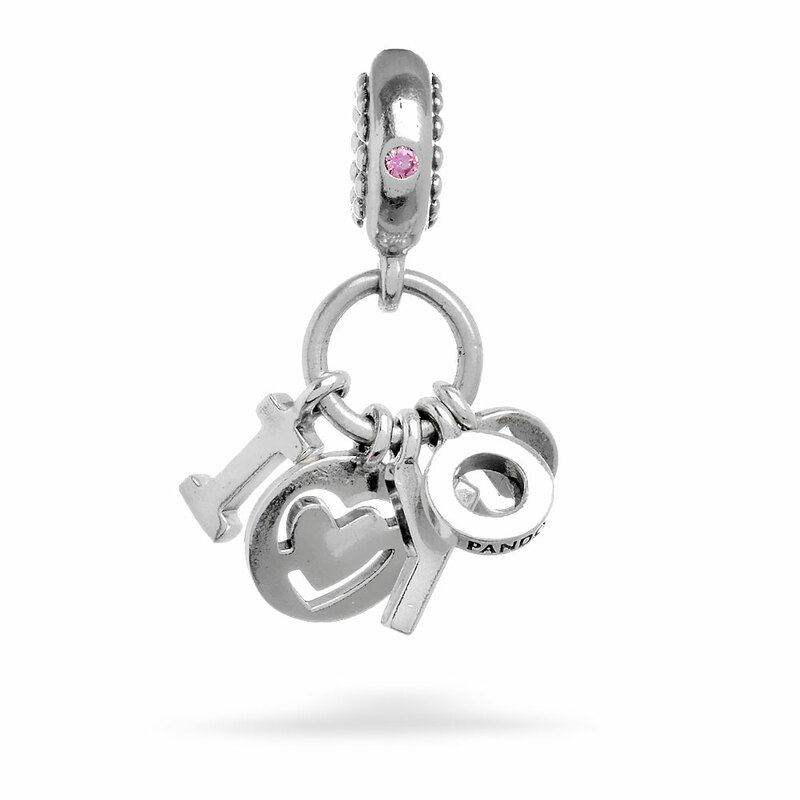 Spell out your love for the world to see with this sophisticated hanging charm. A striking font imbues its touching message with a sophisticated and contemporary expression. Available online or in-store.This item is a single charm only. Bracelets sold seperately. Styling images may show this charm on a bracelet as styling inspiration. I Love You Hanging Charm is rated 5.0 out of 5 by 18. Rated 5 out of 5 by Heart of Love from So pretty! I bought this charm to finish my Pandora charm bracelet which is a beautiful collections of heart shaped charms. Each is lovely in its own way and have been added over the years. This one says ‘I love you’ and will be a treasure to sum up my feelings to hand down to my daughter and her daughter in years to come. Rated 5 out of 5 by Ben59 from Great charm!!! Love the design and very well made! Love the stone on the side. Rated 5 out of 5 by Lizzytnt from Love It! Got many compliments on it. Looks exactly like the picture. Rated 5 out of 5 by Lakera from Excellent I brought this for myself, this is wonderful I would recommend this to anyone.